With Digicel, it is easy and convenient to top up your phone, and to top up your friends and family. As a Digicel customer, you can top up by purchasing credit from any Digicel store, or from any store across the island that sells a Digicel recharge. 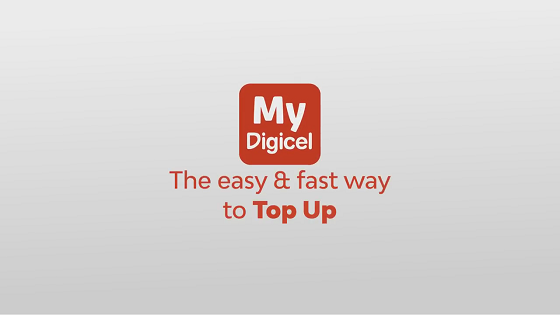 Top up anywhere and at any time right from your phone with the My Digicel App. Digicel Online Top Up is the fastest and most convenient way to top up worldwide. With Online Top Up, you can send minutes instantly. Click here to top up now. Send Digicel minutes to your loved ones from anywhere in the world. Top Up your own mobile phone. Safe and secure credit card processing. Easy and simple registration process. Share experience on social media. You can use your current Digicel ID username/password for our Online Top Up website. You can learn how to create a Digicel ID here.